MIAYBI – THE BEAUTY OF SHARPNESS Following the rich tradition of Japanese samurai swords, MIYABI knives are extraordinarily sharp while being beautiful to behold. Each MIYABI knife embodies purity, grace and elegance- the three qualities most revered in Japanese culture. Under the trademark MIYABI some of the world’s sharpest blades are created; because the Japanese recognized long ago the importance of sharp knives for retaining the taste and texture of delicate dishes like sashimi. With an original MIYABI knife, you will have the exact same realization. 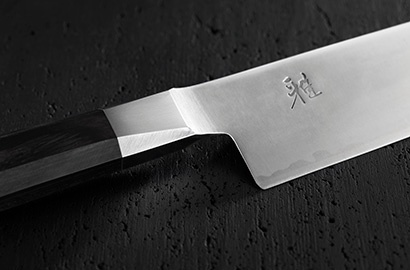 It takes more than 100 steps and 42 days to make one knife worthy of the MIYABI brand. Each authentic knife is crafted true to Japanese tradition by skilled artisans and forged from premium steels and modern state-of-the art technology. Each blade boasts long-lasting sharpness, exceptionally-precise cutting and superior performance. 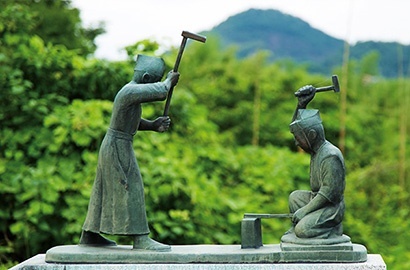 Like Solingen in Germany, Seki is Japan's capital of sword and knife production. 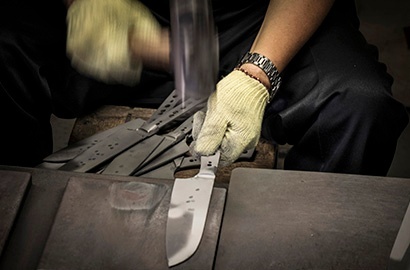 In 2004, the ZWILLING Group acquired a knife factory in Seki. 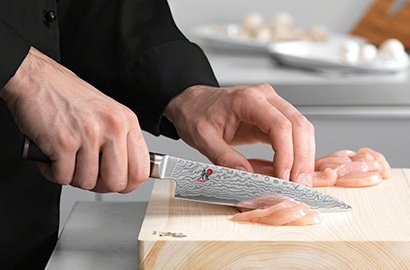 Today, MIYABI incorporates the German engineering excellence perfected in ZWILLING’s Solingen workshops with the finest Japanese craftsmanship honed in Seki. This esteemed collaboration brings the very best quality of Japanese knives to chefs worldwide. And to you. Our knives were developed so that professional chefs and home cooks around the world could experience how sharp knives enhance the plate and please the palate. MIYABI merges the treasured traits of samurai swords- exceptional sharpness, tradition, craftsmanship, and performance- with contemporary design for the ultimate kitchen knives.